Like any decent armchair critic, we like to take apart that week that was. Trawling through the video, analysing the stats – it’s our opportunity to hold the players accountable and pretend we run the game. A couple of weeks ago we talked about the difficult decisions Queensland coach, Kevin Walters was facing ahead of Origin 1. We appreciated that deciding between Darius Boyd and Billy Slater would be hard, but we never thought that he would choose one at the expense of the other. Slater’s shock omission from game one, was exacerbated over the weekend when he tore the Newcastle Knights to shreds with two tries and two try assists. He was in devastating form, as he has been all season, and illustrated just how wrong Walters was to leave him out. Citing the pressure on Slater in game one of the series after a two-year Origin absence, Walters thought he was doing Slater a favour. Slater proved otherwise. 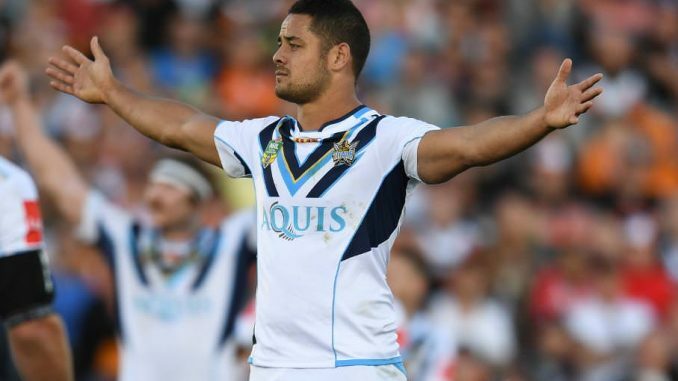 After his impressive turn for New South Wales in Origin 1, it was easy to think Jarryd Hayne’s Titans career would get the spark it so desperately needed this weekend. The big game player handled his Origin return so confidentially (and not just any Origin – one of the quickest halves in Origin history), yet returned to club football and skulked his way to an error-strewn performance as his side lost badly to the North Queensland Cowboys. Whether it is him, unhappy at playing in the centres, or his coach Neil Henry deliberately keeping the ball away from him (for goodness knows what reason), he just looks disinterested in playing for the Titans. Which is especially puzzling given he’s just inked a new deal to remain at the club. Consider this – the Titans have used the following fullbacks this year: Will Zillman, Tyrone Roberts, Tyrone Roberts-Davis. They haven’t yet tried Hayne there. Sporting superstars like LeBron James, Cristiano Ronaldo, Lydia Ko and Novak Djokovic are uncompromisingly consistent. Each day, week, match, tournament and season that group of players perform at a remarkably similar high level. And to compare them to rugby league players in the NRL might seem unfair given they are the absolute pinnacle of the sporting elite. However, that’s what I’m about to do, because I simply don’t understand the reason professional rugby league players can play to such different standards in consecutive seasons. My main gripe is with the Warriors, and in particular, Bodene Thompson and Solomone Kata. Two of the best in 2016, their standards have slipped dramatically – to the point that they shouldn’t be playing first grade. Look around the NRL, and you could add Hayne, Bromwich, Cleary and Leilua to that list too. Professional athletes should be better. Speaking of inconsistency, the referees in Round 13 were well below par. In both Friday night games, the home sides received the better of the calls (not surprising given it was Melbourne in game one) leading them to wins, and throughout the weekend the standard was frustrating. Phil Gould made the point after Origin, that had the same game been between two first game teams there would have been 12 penalties in the first half. But because of the leniency afforded in Origin, the game flowed brilliantly. It’s a strategy he thinks should be employed week in, week out in the NRL, and for once, I agree with him. It was warming to see Benji Marshall play so well for the Broncos in their loss to the Roosters. While many spectators will remember his last act of the game, kicking it dead when a repeat set was required, the 75 minutes before that were excellent. The game was an excellent reminder of his playmaking abilities, his game management and his ability to put other players in space. Yes, he has lost his speed, but his performance this weekend outlined again, that he could be a useful fill-in if Anthony Milford is injured permanently, plays in Origin 2 or if his partner, Ben Hunt, spends any time on the sidelines. For more on this week’s NRL action, check out our report on how the English players in the competition fared. You can also find a full list of results here.